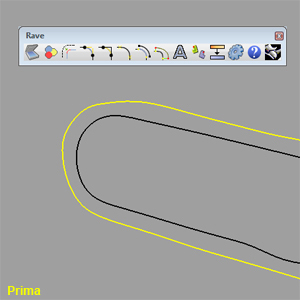 RaVe is the ultimate Raster to Vector converter available for Rhinoceros. 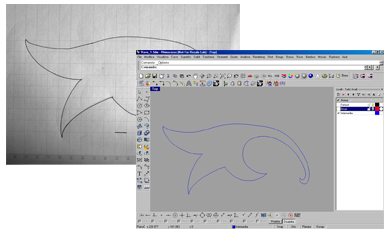 The software creates a vector file from a raster image, a photo, a sketch, a logo or any kind of picture. RaVe imports a pre-digitalized image from a file, but can also import directly from the Windows Clipboard or even from a scanner. RaVe‘s potentials are limitless, but the most important one is that it eliminates all the boring, time-consuming tracing tasks: you’ll get a project traced down in no time and better than ever. .jpg , .jpeg, .png, .gif e .bmp. RaVe can import an image saved in the Windows Clipboard, so you can open an image with your preferred image editor, select a part of it, copy it and then paste the selection through RaVe directly in Rhinoceros, already converted as a vector image. 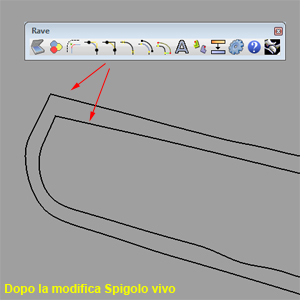 RaVe can import an image from the scanner so, if you have a sketch in your hand and you would like to convert it in a vectorial image, you only have to put the sketch in your scanner and launch RaVe, in no time you’ll get a vectorial project starting from your hands. 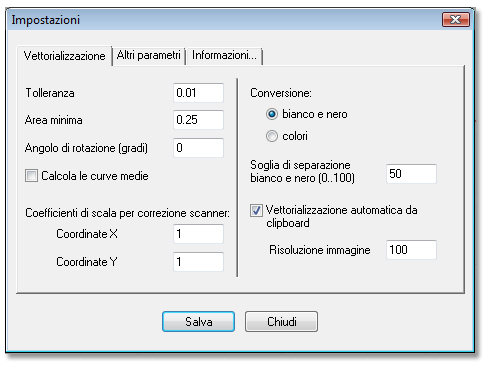 The curves management tool allows to manage curves, create chines, split curves in multiple points and to connect and complete curtailed curves. 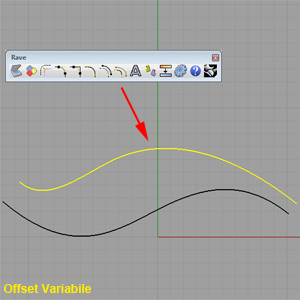 The Offset tool provides a simple ways to duplicate a curve and past a copy with a fixed or variable offset. This tool provides some useful and smart solutions: using them you can extract the “middle curve” of your project, translate and rotate your project at the same time (using the innovative feature “rototranslation”), and then you can back-up your work on an additional layer. All these tools are available wherever you’ll need them, even if they were not imported by RaVe. These are the configuration tools, the first manages RaVe’s settings, the second one is a shortcut to all the Rhino’s feature you’ll ever need using RaVe. Once you have finished your work, you can use your vectorialized images as you should have done with any other profile and then save it as a Rhinoceros project, using any format supported by Rhino; this means that you can use RaVe and Rhino as a powerful way to start a graphic project you’re going to realized inside Adobe Illustrator or any other vectorial editor. Mosaix is an optional nesting module that can use all profiles created with RaVe. 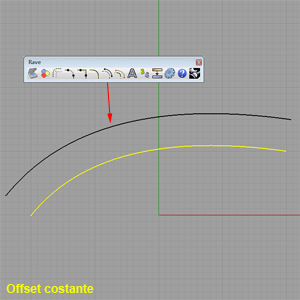 Bamboo is an optional module for generating cutting toolpaths using different technologies; Bamboo cuts the profiles that may have been created by RaVe.